June 26, 1953—Our Lady of Loretto Parish was established by Edward Cardinal Mooney, who appointed Fr. Clair J. Berry the first pastor. Two weeks later, the first Masses were celebrated at Bulman Elementary School. 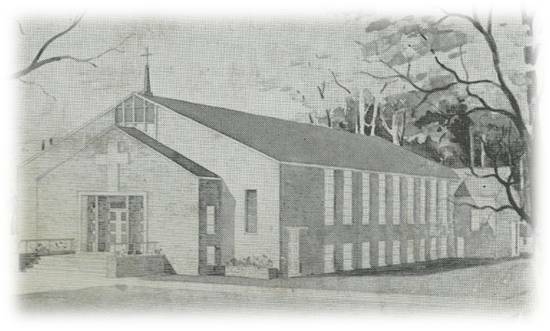 Construction was begun on the present church October 26, 1953, with the first Masses celebrated there May 23, 1954. 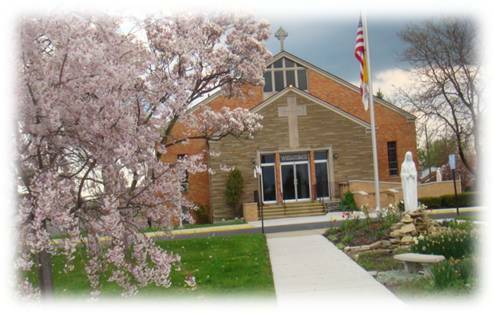 The church was dedicated by Cardinal Mooney December 10, 1954. 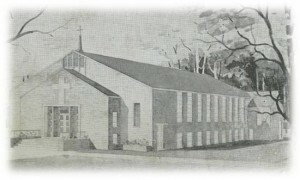 The first school classes began September 9, 1954, in the church basement. The new school building was completed September 8, 1955, and the first 8th grade graduation occurred June 10, 1956. Fr. Berry passed away November 25, 1966, and was succeeded by Fr. Robert V. Ryan. Fr. Henry W. Roodbeen was appointed as Coadjutor July 15, 1982, assisting Fr. Ryan because his health was failing. Fr. Ryan expired January 7, 1985. Fr. Roodbeen was installed as pastor February 27, 1983. 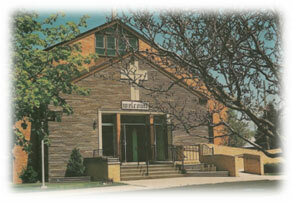 May 1985 — Our parish became the Westside center for the West Detroit Catholic Deaf. January 24, 1988 — The new Family Activities Center was blessed and an open house was held in celebration. July 18, 1988 — Fr. Ricardo Bass became our fourth pastor. He was succeeded by Fr. Ron Essman January 21, 1990, who in turn was succeeded by Fr. Arnold D’Achille April 6, 1992 who was appointed interim pastor until July 1, 1992, when Fr. Joseph Esper became pastor. July 1, 2000 — Fr. J.J. Mech became pastor. June 5, 2007 — Fr. J.J. Mech presided at the final Mass for the school, which was then closed. It was at this time that the Indian Pallottine Community offered their assistance to Cardinal Maida in the Archdiocese of Detroit. Fr. J.J. Mech was the last diocesan priest to serve at Our Lady of Loretto. June 30, 2007 — Fr. Ralph Besterwitch became the first Pallottine pastor. He in turn was succeeded by Fr. Socorro Fernandes July 1, 2010. Presently, Fr. Socorro Fernandes is our pastor.